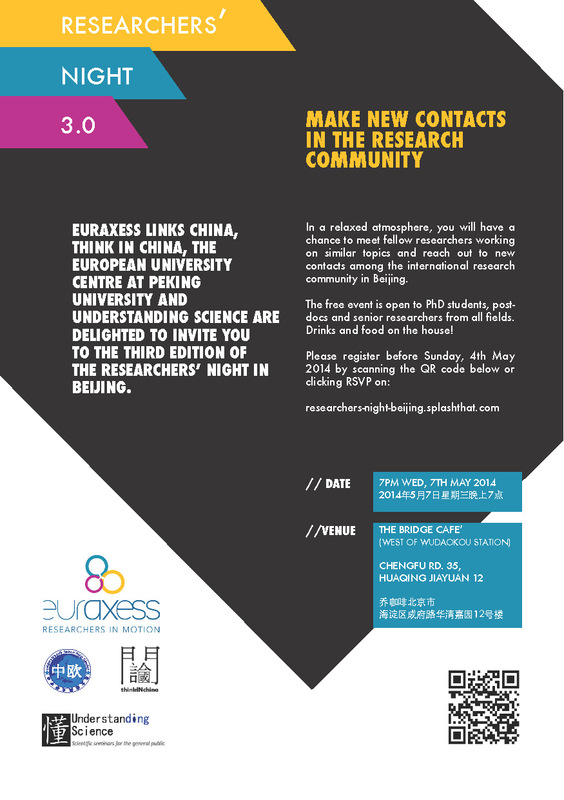 are delighted to invite you to the third edition of Researchers’ Night, which this year will take place both in BEIJING (May 7th) and SHANGHAI (May 15th). 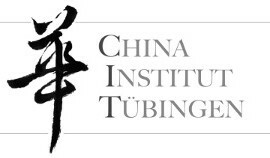 In a relaxed atmosphere, you will have a chance to meet fellow researchers working on similar topics and reach out to new contacts among the international research community in Beijing. 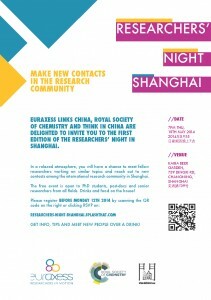 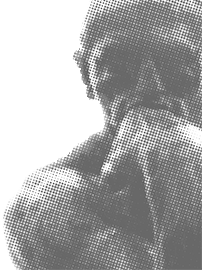 The free event is open to Ph.D. students, postdocs and senior researchers from all fields. 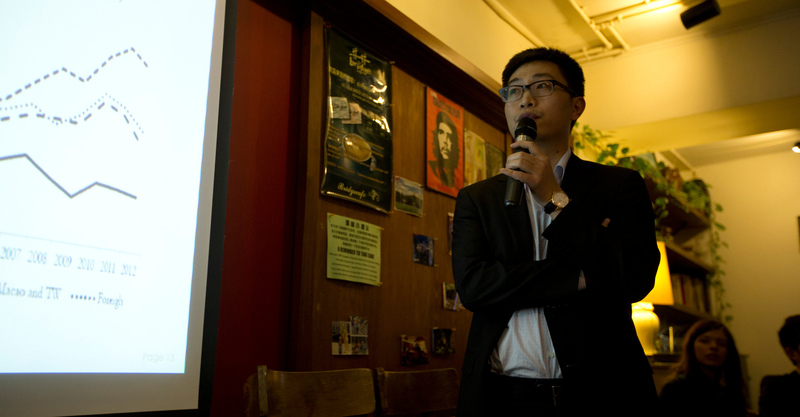 Drinks and food on the house! 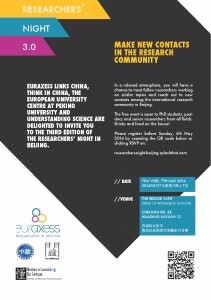 For the BEIJING EVENT Please register before Sunday, May 4th. 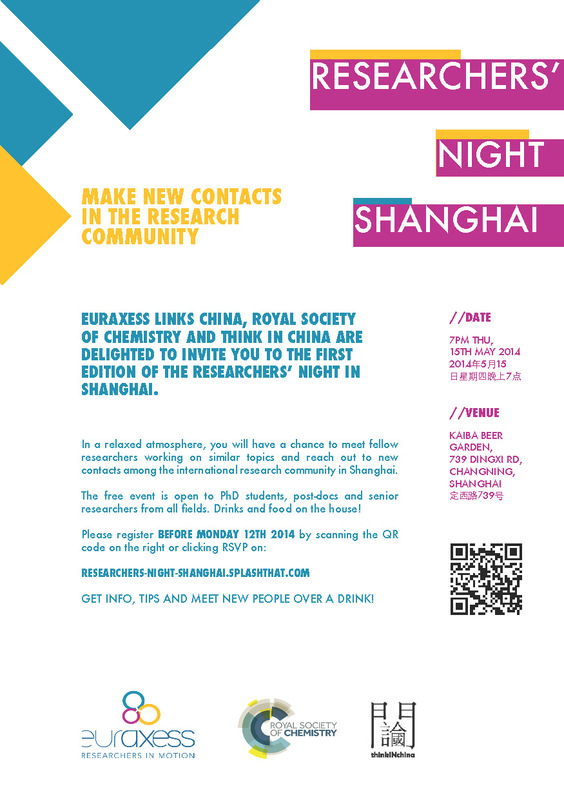 For the SHANGHAI EVENT Please register before Monday, May 12th.